We weren't so much sending a message as we were just trying to fight for our spot. 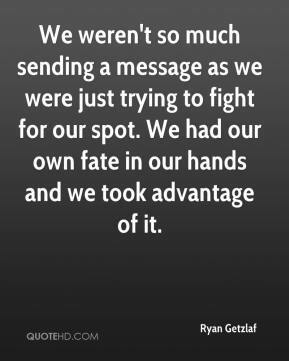 We had our own fate in our hands and we took advantage of it. 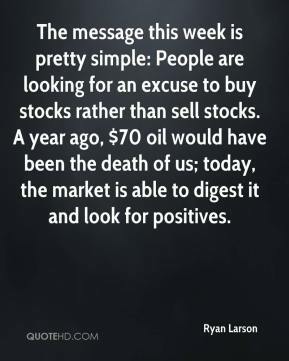 The message this week is pretty simple: People are looking for an excuse to buy stocks rather than sell stocks. A year ago, $70 oil would have been the death of us; today, the market is able to digest it and look for positives. 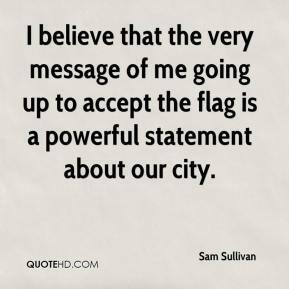 I believe that the very message of me going up to accept the flag is a powerful statement about our city. The unequivocal backing from members of both unions for industrial action sends a clear message to the employers. 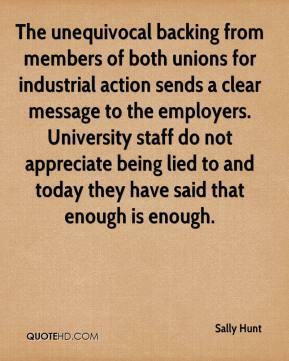 University staff do not appreciate being lied to and today they have said that enough is enough. 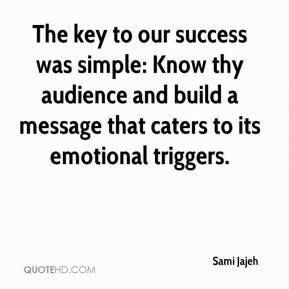 The key to our success was simple: Know thy audience and build a message that caters to its emotional triggers. 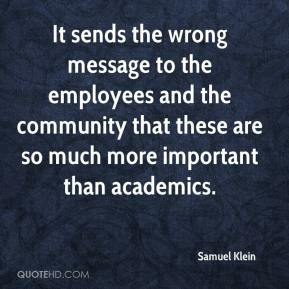 It sends the wrong message to the employees and the community that these are so much more important than academics. 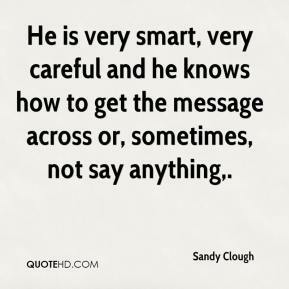 He is very smart, very careful and he knows how to get the message across or, sometimes, not say anything. This would send a clear message to the business community to get out before it's too late. This would most definitely be the nail in the Connecticut economy's coffin. 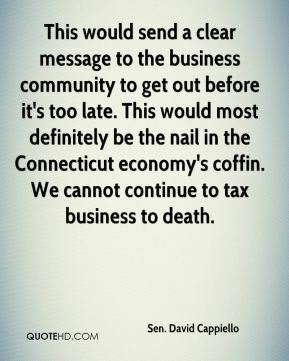 We cannot continue to tax business to death. Our involvement in San Diego is ongoing. 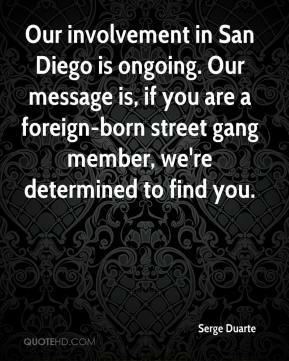 Our message is, if you are a foreign-born street gang member, we're determined to find you. We don't have a strong enough message of hope that there is a way to resolve your issues. You don't have to buy into the videos. 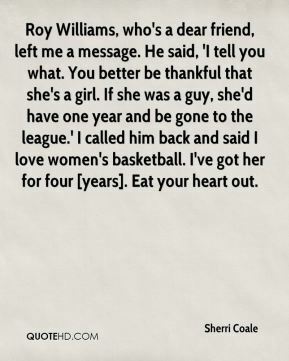 You don't have to buy into the movies. 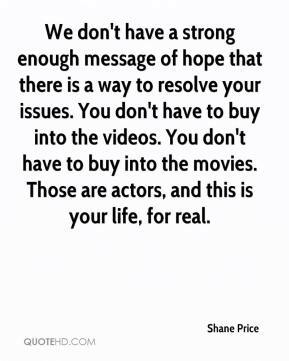 Those are actors, and this is your life, for real. 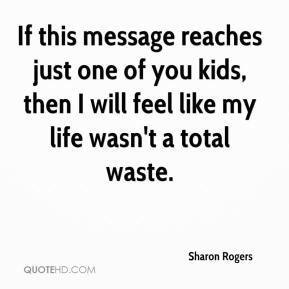 If this message reaches just one of you kids, then I will feel like my life wasn't a total waste. 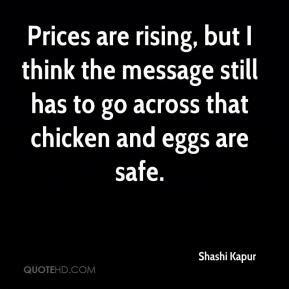 Prices are rising, but I think the message still has to go across that chicken and eggs are safe. 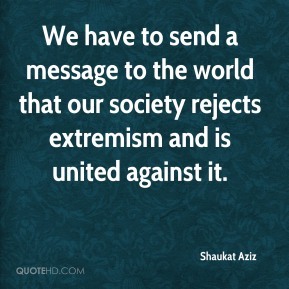 We have to send a message to the world that our society rejects extremism and is united against it. We are an enlightened and moderate nation. 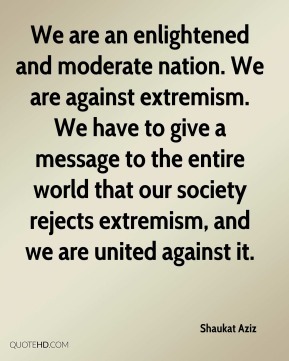 We are against extremism. 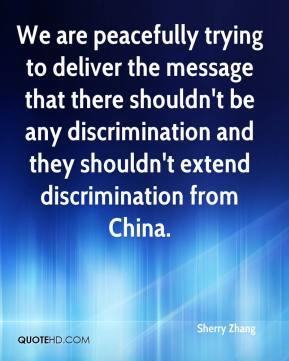 We have to give a message to the entire world that our society rejects extremism, and we are united against it. 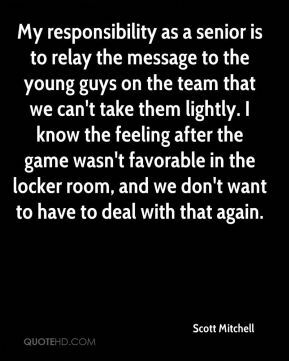 My responsibility as a senior is to relay the message to the young guys on the team that we can't take them lightly. I know the feeling after the game wasn't favorable in the locker room, and we don't want to have to deal with that again. 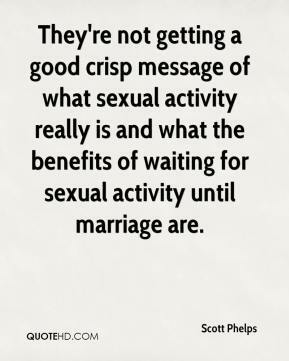 They're not getting a good crisp message of what sexual activity really is and what the benefits of waiting for sexual activity until marriage are. The person who answered the message didn't know much. So he said he would give me a call back so what I did was just wait. 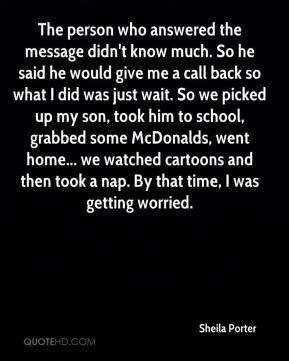 So we picked up my son, took him to school, grabbed some McDonalds, went home... we watched cartoons and then took a nap. By that time, I was getting worried. 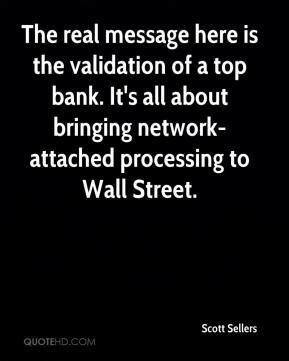 The real message here is the validation of a top bank. It's all about bringing network-attached processing to Wall Street. 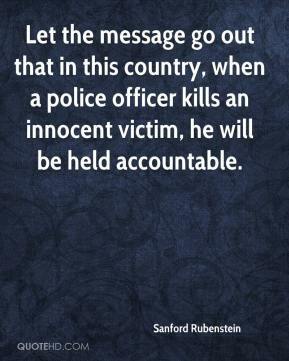 They haven't been able to maintain a strong message out of Iraq. That sucked a fair amount of public confidence out. 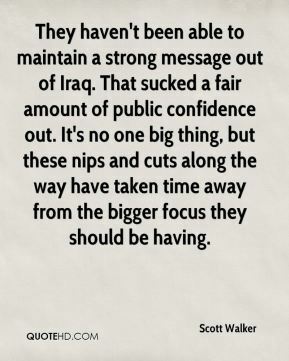 It's no one big thing, but these nips and cuts along the way have taken time away from the bigger focus they should be having. 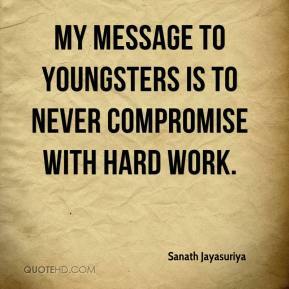 My message to youngsters is to never compromise with hard work. The people who would know have not been talking to anybody but each other. 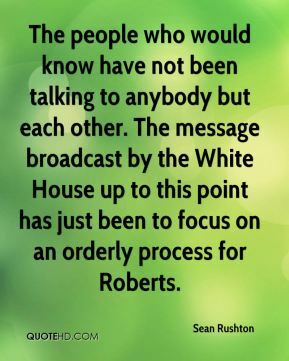 The message broadcast by the White House up to this point has just been to focus on an orderly process for Roberts. We have been unable to reach an explanation on the complete authenticity of the e-mail message. 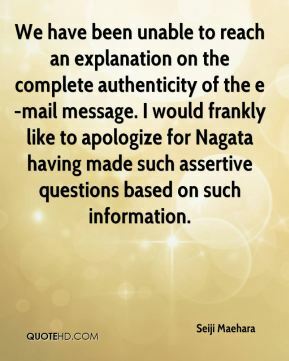 I would frankly like to apologize for Nagata having made such assertive questions based on such information.